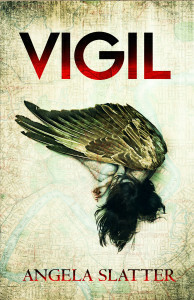 Many thanks to the delightful Maria Haskins for this great review of Vigil! Angela Slatter’s ‘Vigil’ is a whodunnit wrapped up in a dark, urban fantasy world, and one of the many delightful things about this terrific page-turner of a book, is that both the murder mystery, and the fantasy part of the story work so well. The murder mystery kept me guessing until the very end, just the way it should, and the fantasy world Slatter introduces is rich and convincing, and peopled with a cast of odd, frightening, entertaining, and occasionally horrifying creatures – both human and…not so human. This entry was posted in News and tagged angela slatter, hachette australia, jo fletcher books, Maria Haskins, review, Vigil. Bookmark the permalink.